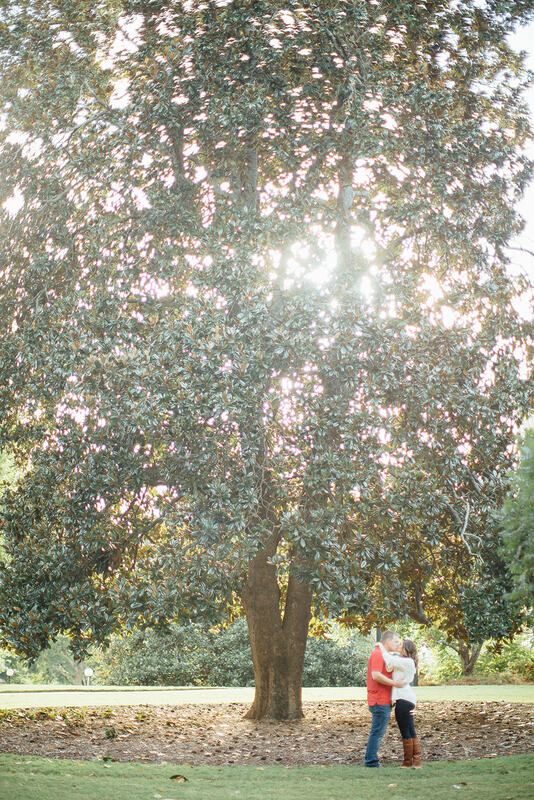 For couples in and around Athens who are looking for a beautiful background for their engagement pictures, the University of Georgia offers several perfect locations! 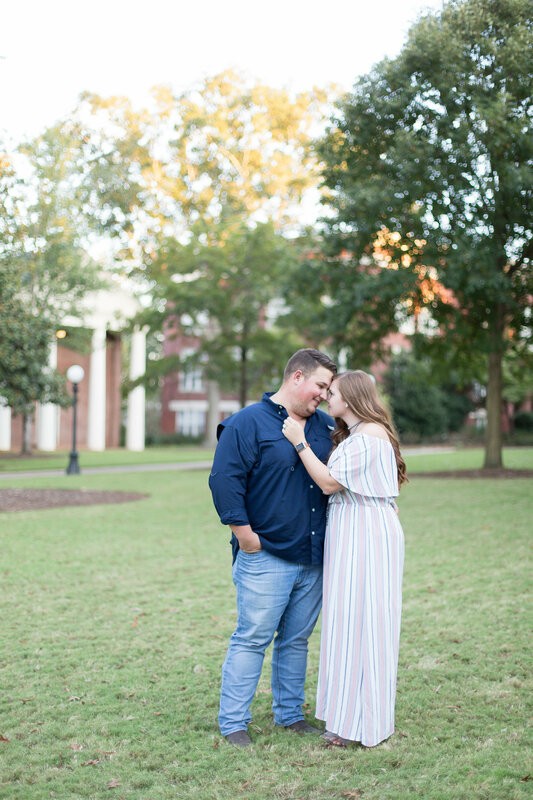 With UGA’s rustic buildings and greenery, the campus will give your “Save the Date” invitations some character while also accentuating you as a couple! First, if you park your car on Broad Street, right beside UGA’s North Campus, you can get some great pictures with Downtown Athens in the background. If you prefer rustic brick walls, this is the area of Athens to find some! 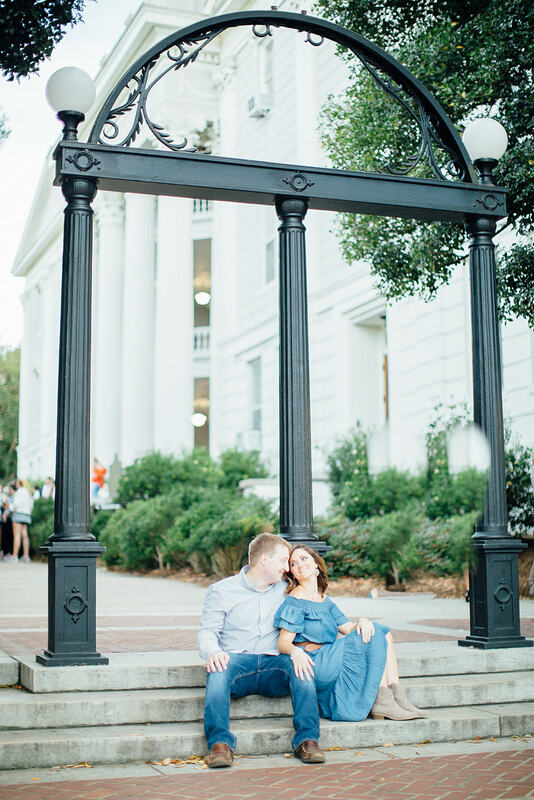 If UGA is a special place for the two of you, then you’ll definitely want some pictures with the famous UGA Arch, right across from Chick-Fil-A on the corner of College Avenue in Downtown Athens. 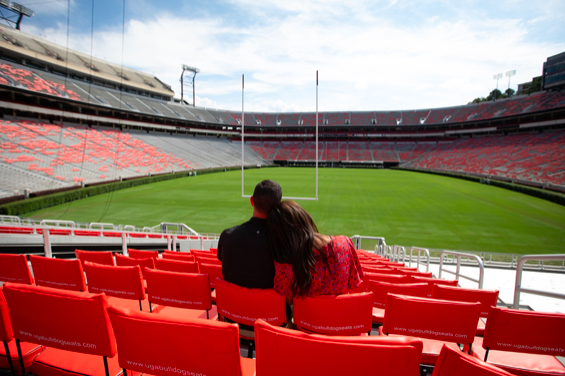 Whether you met at UGA or just love the Dawgs, this spot is iconic and a great background for some fun pictures! If your time as a student at UGA is not over, be careful; the old myth says that those who walk underneath will not graduate! As soon as you venture past the Arch, you are met with a beautiful grassy area filled with trees and surrounded by rustic buildings. Some of these buildings were built a long time ago, so they have an older feel to them, but they still look beautiful in the background of pictures! Whether you sit on the front steps or have the buildings blurred in the background, North Campus provides a picture-perfect mix between nature and city. In addition, the trees throughout campus stay pretty year round. The leaves are vibrant colors that look beautiful in person and through a camera lens, especially in the fall! The best spots for a background full of trees include North Campus or Lake Herrick near the intramural fields. If you’re looking for full greenery, there are many hidden benches and walkways surrounded by bushes. You could even plan your outfits to go with the background scenery that you are wanting in order to make you stand out or coordinate in the picture. If your photographer is unfamiliar with the area or if you have specific picture ideas that you want during your photoshoot, it may even help to walk around campus to find the best hidden benches and other spots! Another UGA tradition includes ringing the Chapel Bell after an academic achievement, athletic win, or any other special time in your life. 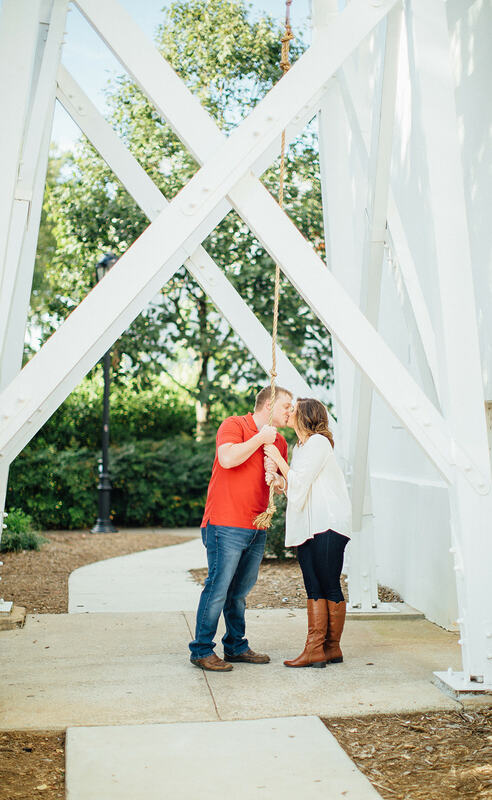 Take a picture by the bell to signify just how special you engagement is! All in all, a photoshoot is meant to capture your personalities and love as a couple. Choose a spot that has some character or holds a special place in your heart in order to guarantee a successful photoshoot. You are bound to find a few spots on UGA’s campus that are just what you are looking for! 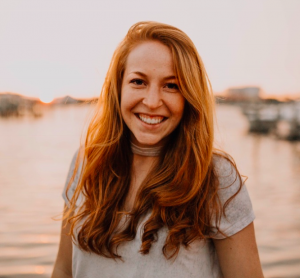 Lauren Macdowell is a senior at the University of Georgia studying Communication Studies and Sports Management. She enjoys all things outdoors, planning for events, and creative writing!